Sadly, this is my last official Monday before the real start of school...I'm feeling a little bit of those end of the summer blues. On the other hand, I'm excited to get started with my new firsties, so I guess I'm going to have to focus on that, haha! Here are my latest crafties for Monday Made It! Up first, my tissue pom garland for my guided reading corner. I spend so much of my time at this table, I wanted it to be beautiful, and I think it finally is! 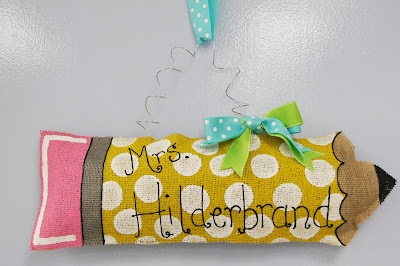 Next up is my etsy-inspired burlap door hanger! I was sooo amazed at how cheap (under $5.00) and easy this craft was! All I needed was a yard of burlap, some jewelry wire, and some paint and ribbon that I already had in my stash. I hung it on my freshly painted classroom door, and I think it looks adorable! I even have enough burlap and wire left to make one for my door at home...I'm thinking a Colts football one for my hubby to enjoy as well! 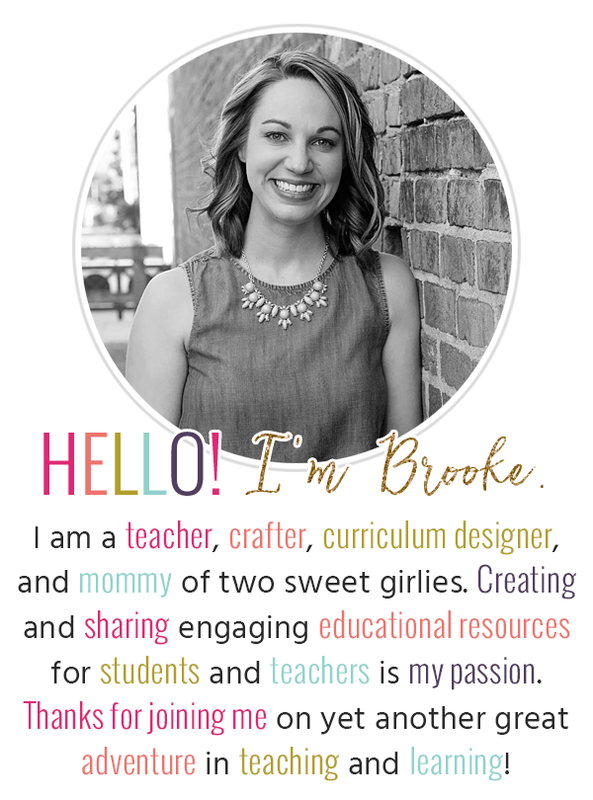 Have a great Monday, I'm off to get some work done...Tomorrow is my county's Differentiated Instruction Conference, so things are getting into full back to school mode! Thanks for stopping by! You look ready for back to school! I love the garland too. I really like the colors you picked blues and yellows and greens look so good together. What kind of paint did you use for your burlap pencil? It's so cute! I think you and your students will love the guided reading table! Lovely calm colors too! So pretty! I love it. I have been trying to figure out how to put some tissue pom poms in my classroom but I'm not allowed to hang anything from the ceiling! Are yours attached to the wall? 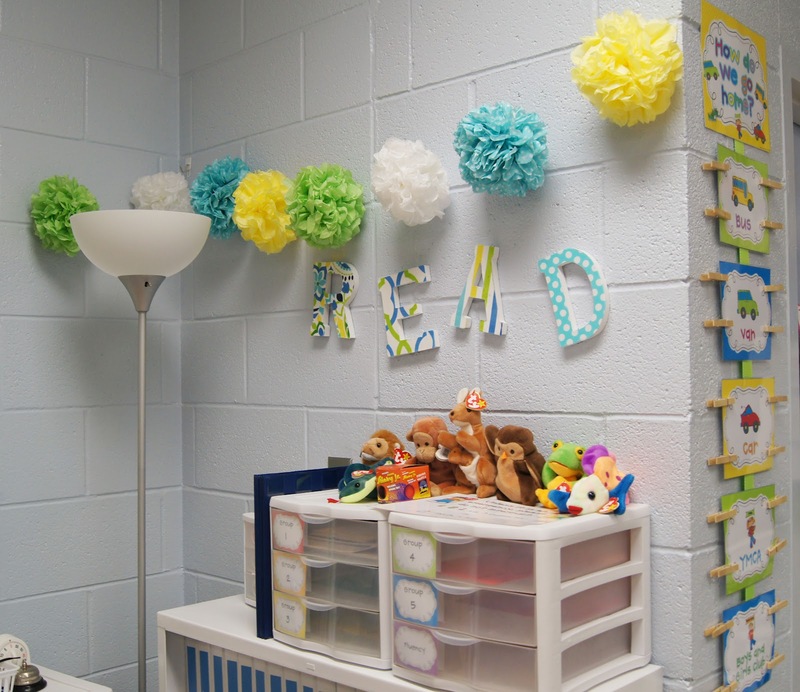 Either way that corner of your classroom looks adorable! Your burlap sign turned out fantastic too. I made one this week as well. I LOVE your colors and the tissue pom poms. Are they easy to make? Love your colors! How bright and cheery! Thanks for sharing! Cute, cute, cute!! :) I love the Pom Poms and would also like to know how you attached that stuff to your walls. Our school is relatively new and they discourage us from using anything but Stikki Clips and Stikki Dots (which I think leave more of a mess than masking tape!). 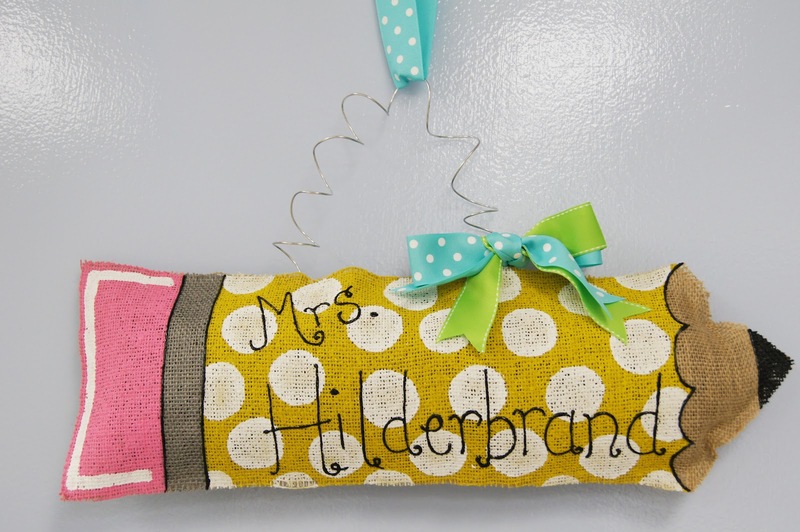 I LOVE your burlap project! I have also seen these around. Did you stuff it with something? I also saw along the right side of the picture with the Pom Poms, your "How do we go home?" sign. Did you use one LONG skinny piece of wood(?) to hang your signs? I'm thinking of doing that for my class rules. Thanks for all of the sweet compliments! I'm glad you all liked them! The burlap wall hanger was really easy. Just cut out a shape and paint (I used acrylic paints and a foam brush--it did take a lot of paint!). Let it dry, then glue the front/back together using a hot glue gun. Leave a little opening and stuff with recycled plastic bags! Easy Peasy! As for the poms, I used a big needle and threaded them on clear fishing line. Then, I hung them on the wall (we aren't allowed to hang things from the ceiling either) using 3m command hooks. LOVE those poms... I have seen so many hanging from the ceiling but I love the way you have them going across like a pennant banner, adorable. I am your newest follower! 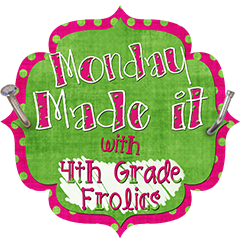 I found you on the Made it Monday linky! You have a lot of great ideas, come and check out my blog! Hi, I just found your blog on pinterest. I love those birthday balloons. I am a new blogger on the block, I would love for you to stop by and check it out. I LOVE your burlap pencil sign! You should sell them! I love your tissue pom garland. Too cute!